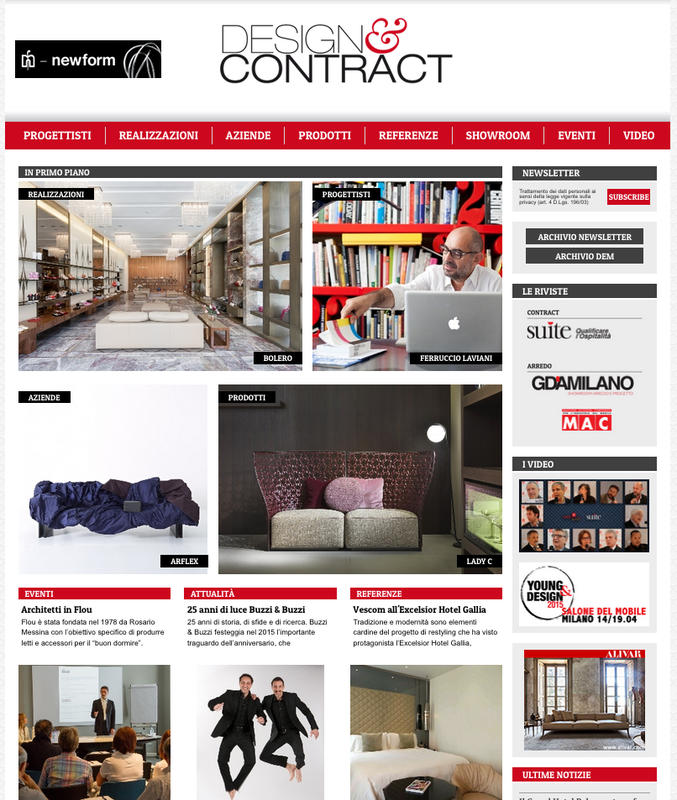 The contract and interior design portal for architects, designers and investors. Interested in the eco system of the made in Italy brands and the national and international retail network and contract . designandcontract.com is always up-to-date with the most influential players in the contract industry: designers, investors, production companies. The portal showcases cutting-edge architectures and interior design, while also monitoring investors and tracking events and product launches; news posts and reviews provide an instant update on the latest materials and solutions, new openings and the state of the contract industry. Designandcontract.it is a responsive, optimized, georeferenced and bilingual website. Content is the heart and soul of our editorial strategy “Content is king”, which is reflected in a set of easily accessible and highly qualified databases.